All orders are couriered the same or following business day with track and trace. Generally we can dispatch the same day if you order by 2pm. All our products meet NZ standards. We have 1000s of satisfied NZ customers. Chris from Auckland bought this item recently. Ideal for use in the home, kitchen, car, caravan, or boat. 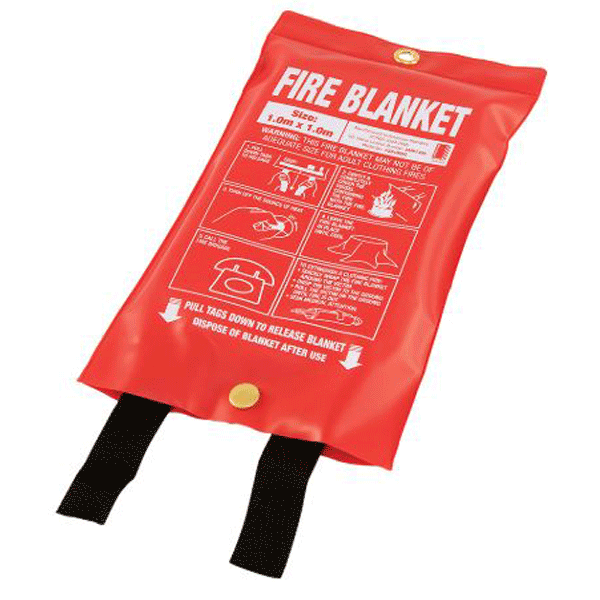 As the 1m x 1m fire blanket is the smallest in our range, it is only suitable for small fires, such as small pan fires in kitchens. It is generally too small to use for clothing fires. PLEASE NOTE: DO NOT USE FIRE BLANKETS MORE THAN ONCE. IF USED THEY MUST BE DISPOSED OF.